VOM Christian Missionary Released from Sudanese Prison, Able to Share Gospel During Time – Coercion Code – "Dark Times are upon us"
VIENNA, VA. — Czech missionary Petr Jasek shared Saturday how God spared him from waterboard torture at the hands of Islamic State extremists and eventually used him to lead fellow inmates to Christ during his 14-month imprisonment in Sudan. For the first time since he was released from a Sudanese prison last year, the Africa regional director for Voice of the Martyrs detailed the horrifying story of his detainment at one of the mission organization’s all-day conferences in the United States. Jasek was among a handful of Christians who shared their testimonies before hundreds gathered at the McLean Bible Church in Vienna, Virginia for the VOM Advance Conference. Jasek was accused of espionage and treason by the government when he traveled to Sudan in December 2015 to document persecution faced by Christians in the nation. Although Jasek originally planned to be in Sudan for just four days, he wound up being imprisoned for 445 before his release in 2017. During that time, Jasek was placed in five different prisons. Jasek recalled the first couple months in prison, when he was placed in a cell with members of the Islamic State. The extremists did more than just make fun of Jasek. In order to perform the torture, Jasek said that they had to move him and the extremists into a different cell with running water. The day before the waterboarding was to occur, Jasek explained that the jihadis interrogated him to find out where VOM was operating in Sudan. Every time they didn’t like his answer, he said, they would beat him with a wooden stick. 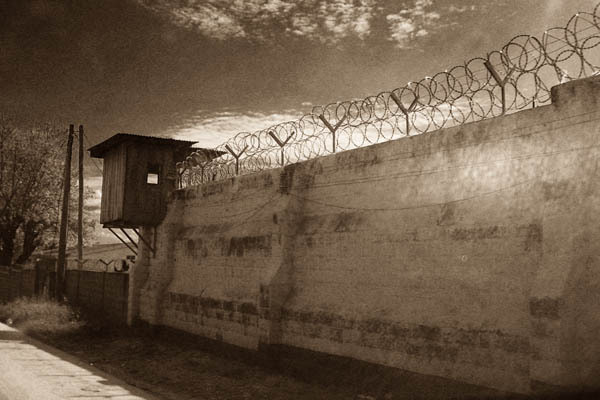 In the cell with the extremists, Jasek didn’t have access to his Bible. As his health condition was deteriorating, he said that he was barely able to remember the passages of Scripture that he memorized as a kid. Considering that Christians are called to pray for and love their enemies, Jasek stated that even through the beatings and humiliation, he was able to witness the needs of his abusers late at night when they could not sleep. “When we realize that these people are not knowing the Lord, that situation made it really easier for me to pray for them,” he continued. Fortunately, Jasek was spared from waterboarding thanks to a guard who was not afraid of going against the wishes of the Islamists. Jasek says that he feels the Lord acted through the guard to move him out of the cell. Shortly after being put in solitary confinement, Jasek said that he was brought a Bible by Czech consular officers. He was eventually removed from solitary confinement and moved to a larger prison that can hold about 10,000 people. One saving grace of the situation, Jasek said, was the fact that the guards at the new prison allowed him and two Sudanese pastors who he was imprisoned with to hold chapel services. Thanks to negotiations between the Sudanese government and Czech officials, Jasek was released in February 2017. Sudan ranks as the fourth-worst nation in the world when it comes to Christian persecution, according to Open Doors USA’s 2018 World Watch List.